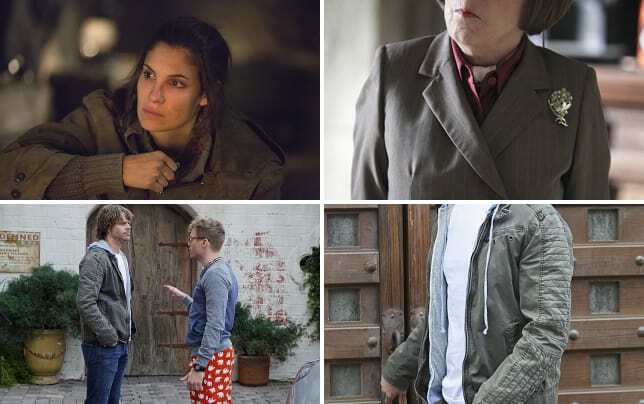 Kensi's mission in Afghanistan took a turn on NCIS: Los Angeles Season 5 Episode 18. She voluntarily was taken by Taliban forces in the hope of seeing the man she targeted as the White Ghost, but couldn't shoot. She got her wish, but he appeared to be held by them as well. When Kensi saw him and shouted his name, he ignored her. Who is the man that she risked everything to see? As many suspected, the man is her ex-fiance, Jack. Though, their encounters were a bit suspicious. Was that because there's more going on? Or, was the Taliban using him to get information from her. Jack was brought to her cave, but as Kensi shouted his name the guards hit him and took him away. What was the point of bringing him there, taking him away and then bring him back to talk to her later? I fear it's all a ruse. That what he told Kensi about finding freedom and a peaceful existence in a village was not the whole truth. The only other explanation that makes sense is that the Taliban found out Jack was approached by and cooperated with the CIA. That would be a good reason to take him into custody. And, then they used him to find out information about why Kensi was really there. They got the information they needed and then pulled Jack out when she talked about using the fire to escape. At this point, I don't believe that Jack is the White Ghost. He may have been set up to take the fall as the White Ghost, but he didn't do the killings. So, then who did them? Sabatino is likely the CIA officer that approached Jack., so he could have set him up. Nothing is certain except Kensi has gotten herself into a big mess and her teammates from Los Angeles are on the way to try and rescue her. While she was reunited with Jack, the team back in LA was saving San Francisco from a hacked Russian missile. This case was full of twists and turns. With troubles with Russia in the news right now, it was quite a timely story to have the missile controls stolen from the Chechens. NCIS: Los Angeles Photos from "Zero Days"
Their decision to target the missile at the US in the hopes of starting a war between the two superpowers was quite an extreme measure to get Russian troops out of the Caucasus. I'm not even sure that would have worked, but maybe? This was one of the more interesting cases of NCIS: Los Angeles season 5. The team mission to infiltrate the system where Ira sent the Zero Day was outstanding. Callen played the CEO perfectly, while Sam and Deeks provided him support and then got into the computer room. It was a mission impossible, but not for them. The relationship between Eric and Ira provided some insight into the Tech Operator that we haven't seen before. Instead of leaving NCIS to make a lot of money working with his friend, Eric found real purpose in the work he does. And in this case, he saved thousands if not hundreds of thousands of lives while facing flying bullets. And, once again Nell went into the field and was hit on. She gets flirted with more than anyone else on the team and she doesn't even get out in the field that often. It's crazy! Eric really needs to just tell her how he feels. His jealousy was raging when Ira and Nell were together. It used to be cute, now it's getting somewhat creepy. Nell's comment to Eric about his glasses and eyes provided the perfect opportunity for him, but he didn't take it. Maybe another day! At least, Callen has finally given love a chance. I hope we get to see his lovely teacher again soon! Did Jack tell Kensi the truth? Check out photos from NCIS: Los Angeles Season 5 Episode 19, when the team heads to Afghanistan to rescue Kensi. 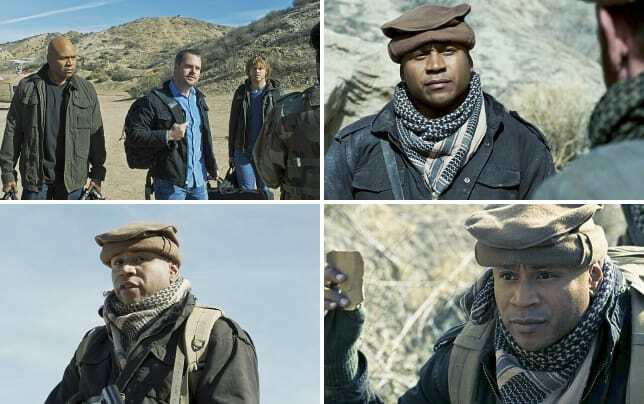 NCIS: Los Angeles Photos from "Spoils of War"